The more I read about Mark Gubicza, the more I like him/his career. And he became the first two time Flip Sider (first appearance: here). In this Donruss Triple Play card, we learn about another hobby of Gubicza’s (if you remember, his hobby in 1986 was “being music”). While I was confused by the phraseology in the past card, I wholeheartedly support players who approach the game like a fan (see also: Richard, Chris). It is super cool to me that, even though Gubicza had played nine season in the majors at this point, he collects sports memorabilia and autographed baseball cards. 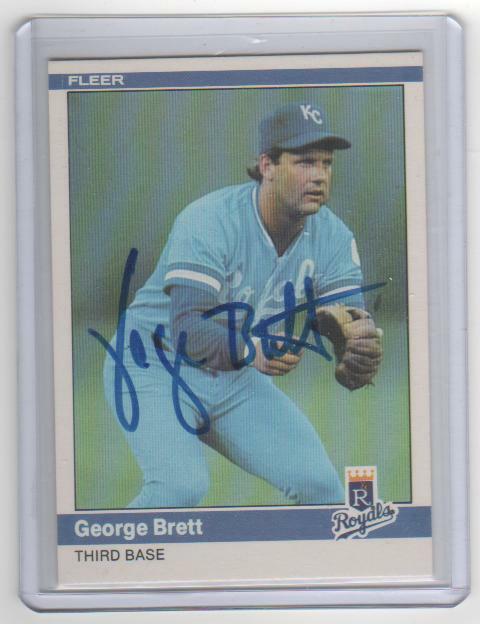 I imagine he was able to get some really cool autos — maybe even a few George Brett’s? Anyway, my second look at Gubicza has me investigating his career a bit more. The two-time All-star led AL pitchers in WAR in 1988. That year, he won 20 games with a 2.70 ERA and 1.19 WHIP. He added 183 Ks and a 2.20 K:BB rate. 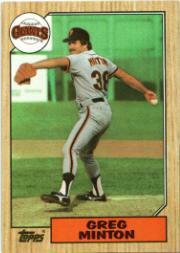 Unfortunately, he’d get little Cy Young recognition, finishing behind Frank Viola and Dennis Eckersley in voting. The next year he’d lead the league in starts (36) and do it again in 1995 (with 33 starts). Given his durability, it isn’t surprising that he owns a few dubious Royals records, most notably: walks allowed (783) and hit batsmen (58). But you gotta be good to be able to hit that many guys. 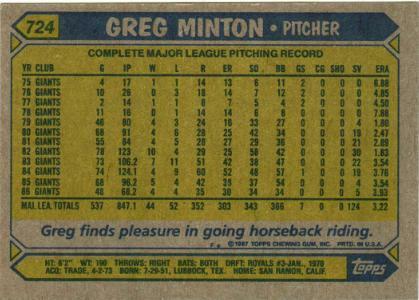 Let’s hope he parted amicably with the guys he hit and maybe even got their John Hancock on a baseball card.